CSV CSV, CSV to CSV, convert CSV to CSV, CSV to CSV converter, convert CSV to Quicken Macat ready to import. 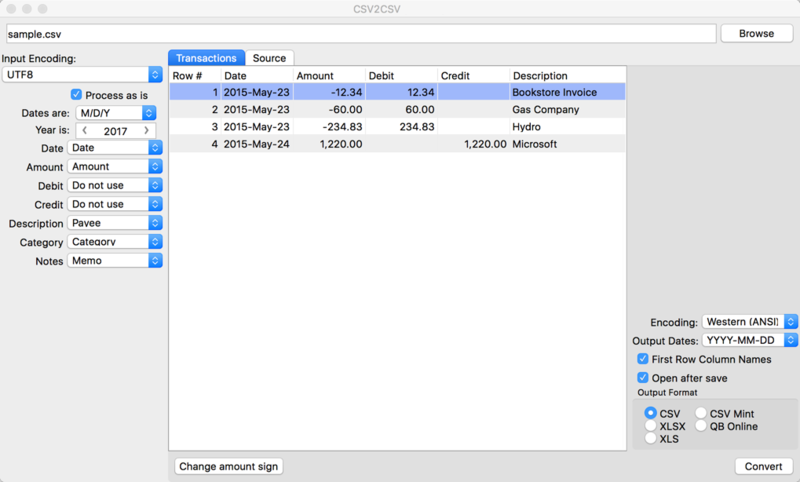 Convert CSV to CSV Mint/QB Online/Xero and import into Quicken Mac, QB Online, Xero, YNAB. Open files in XLS and XLSX or CSV formats.